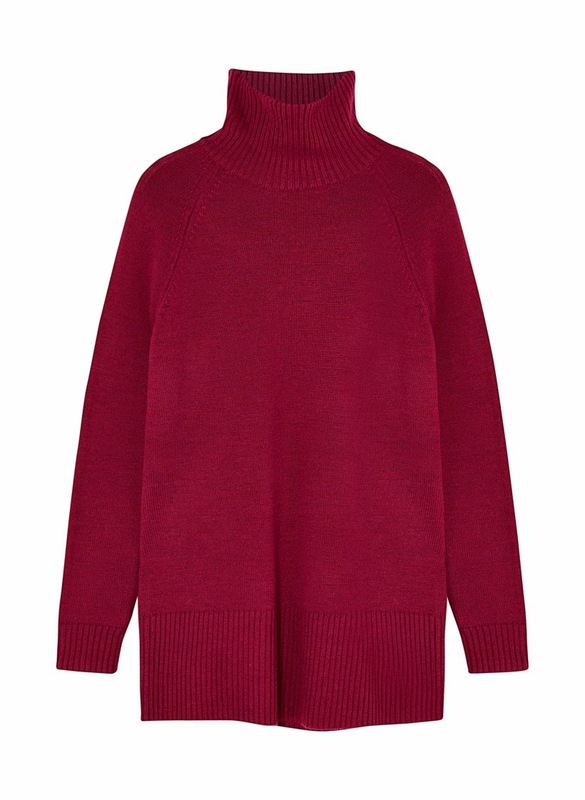 Style Theory: Berry, Wine, Burgundy, the beautiful rich, deep, red colour is AW14 must have. Whether worn as a coat, cosy jumper or shoes, this warm hue will add a touch of winter decadence to any outfit. Clash berry with pink for a cool look. 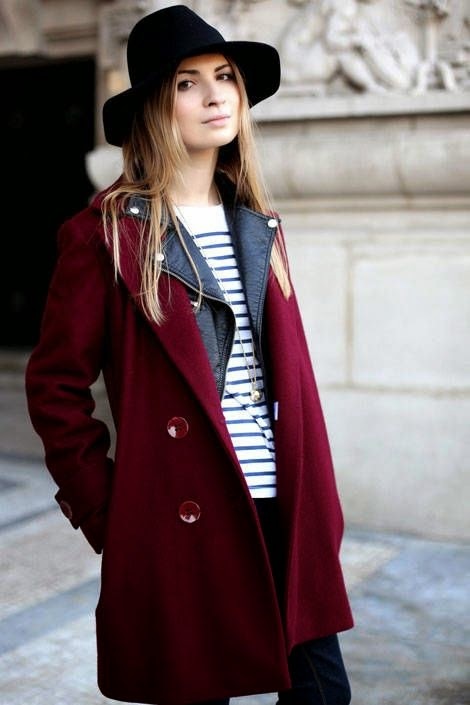 Berry is a truly versatile colour, it looks fabulous with camel, navy, khaki and of course black. However, if you are feeling a little bolder wear with pink (my favourite combination) or orange for a statement look. 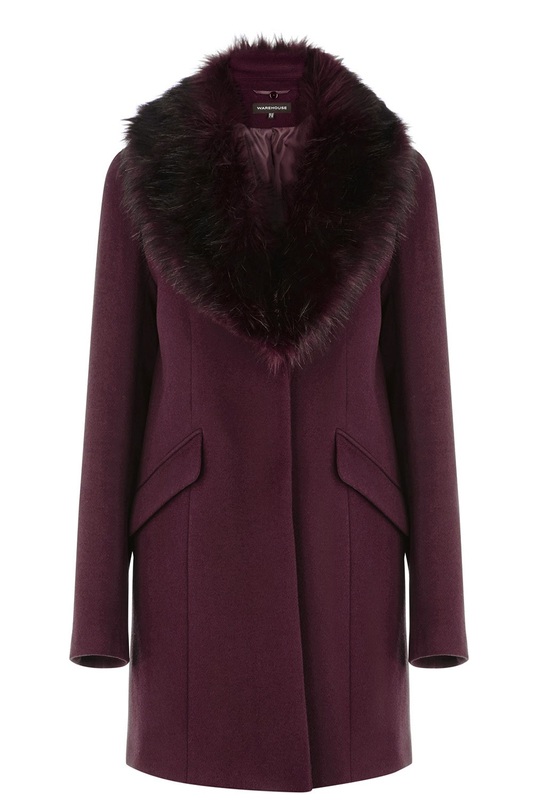 This is a beautiful coat on, looks great without the (detachable) fur collar also. I tried this on yesterday, not a great photo but this may give you an idea of how it looks. It is a lovely shape and looks cute on. I would take off the fur and wear with a huge navy tartan scarf as in the Pinterest photo above..this one from Ebay is perfect.. I have never bought from this seller on Ebay so just double check feedback before buying! Most people have a pair of jeans at home in this berry colour from a few years ago. Why not pull them out and update your look by wearing them with a pink jumper, a khaki parka and a pair of Stan Smith trainers, these colours look great mixed up and make a cool style statement. 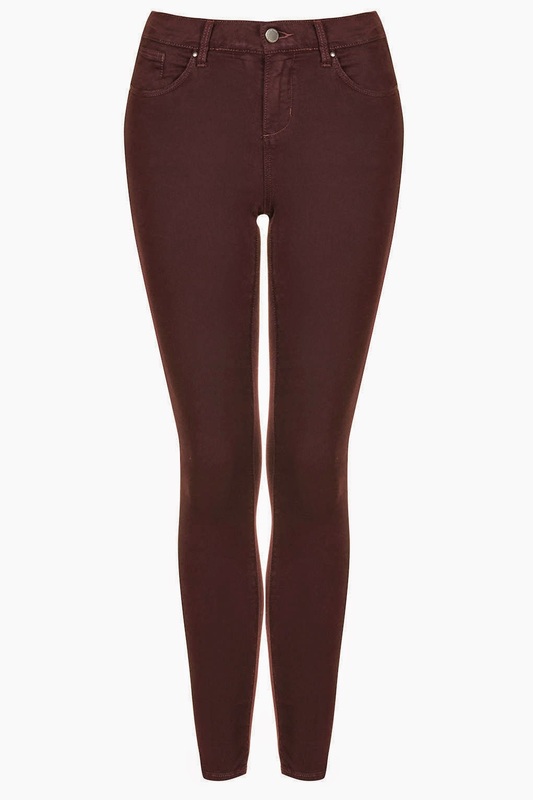 If you do not have them already try these from Topshop.. Here is what I teamed my jeans with last week..
Or wear with a berry T-shirt for a coordinated look.. 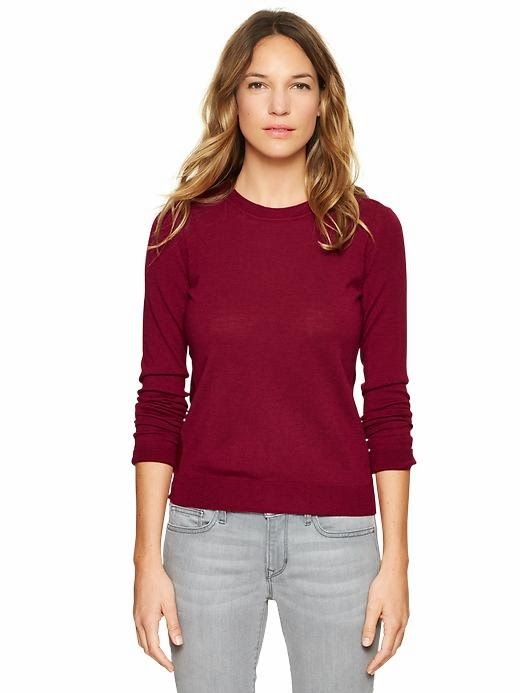 Pair this skirt with the Gap merino sweater above and a pair of pointed snakeskin flat pumps. 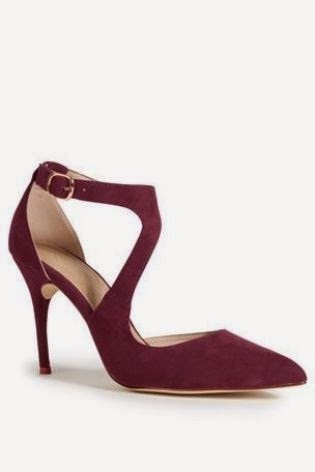 Super elegant shoes, would add a beautiful touch of colour to a black jumpsuit or dress. I have featured this bag before and I do love it, it ticks the trend perfectly. I would team with a camel coat. 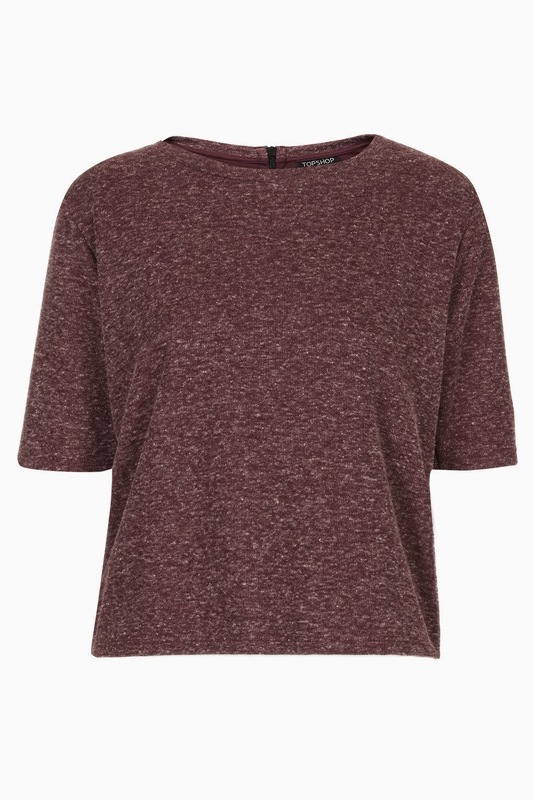 This is such a warm, comforting colour and definitely will be featured again and again in my A/W14 wardrobe. This was an outfit from from last year but the colours still work this year..
For a day out and about shopping.. There concludes my round out of my fave berry items and a few of my outfits from the last week! Will you be indulging in the Berry trend, do you have lots of items accumulated from the last couple of years that you can wear this year? Love your culottes, they look super cool. 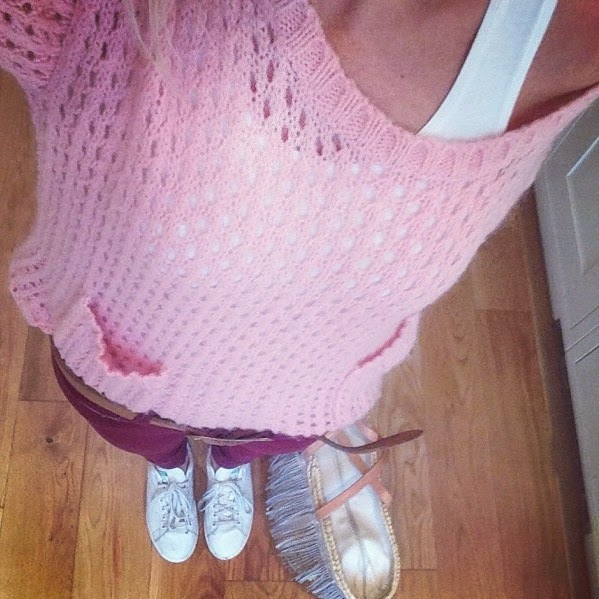 Also have never put berry and pink together and have the jeans and knits, so will be totally stealing that one! H&M have lovely burgundy cashmere scarf and hat in their premium range - almost identical to the ones from Cos but of course cheaper. Got them when they had a 25% off of any item promotion and can't be happier. Look so amazing with my grey coats and camel and black jumpers, I almost look forward to the colder months! 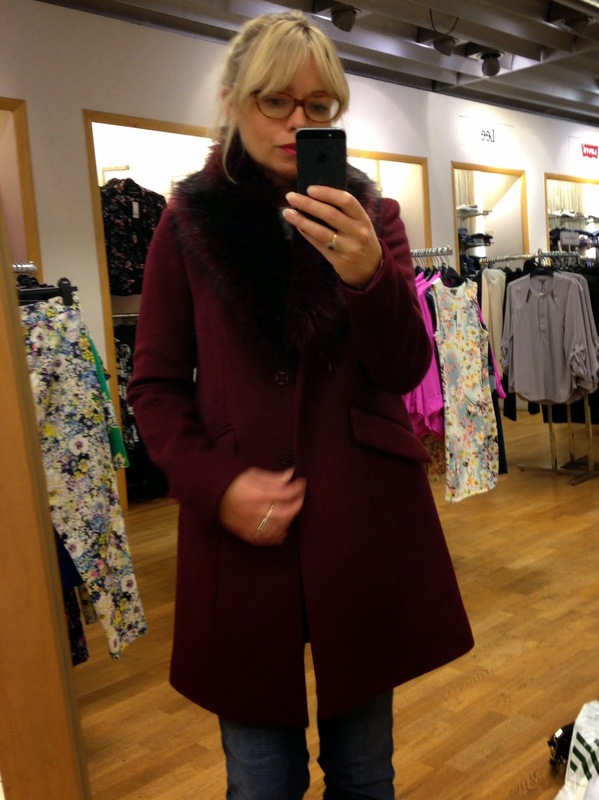 Love the Warehouse coat on you and also your Primark gilet - the colour looks so delicious! PS Love your blog and think you are a fantastically beautiful (seriously remind me of Kim Basinger in her best years - bet I'm not the first to draw a comparison!) and stylish woman! Keep up the good work and good luck with everything! Love berry shades for the autumn months. I've got my damson ballerinas but the weather has been so awful, I've resorted to sturdier footwear of late. 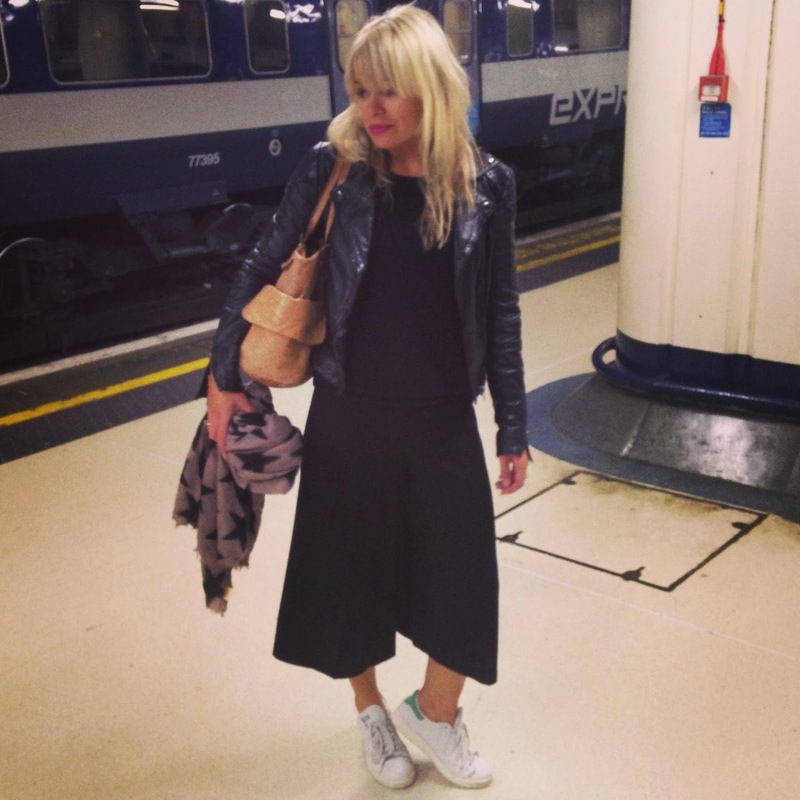 Love the culottes look for your University meet up - super cool chick! That is one of my favorite colours EVER!